A family drama, Dad tackles issues of aging and the complex dynamics between fathers and sons as well as husbands and wives. In Los Angeles, elderly couple Bette and Jake Tremont (Olympia Dukakis and Jack Lemmon) are living out their retirement, with Bette controlling every last detail of Jake's life. As a result he is disengaged, disinterested and utterly dependent. 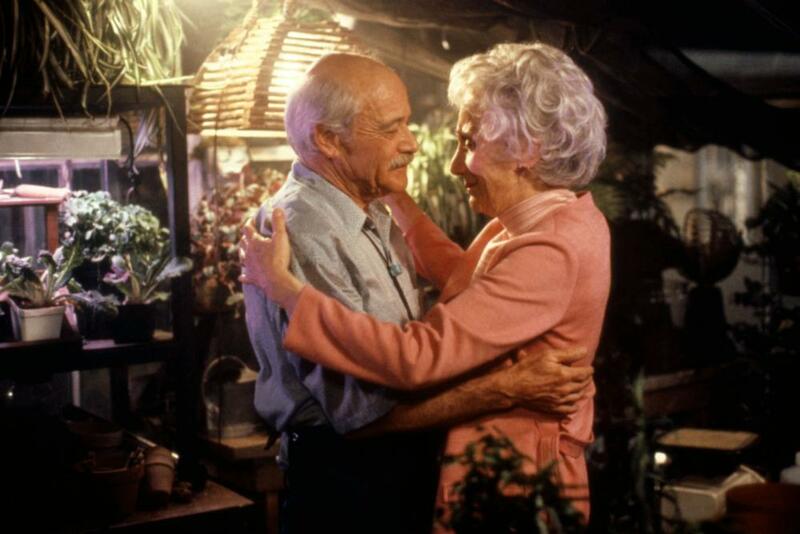 When Bette suffers a heart attack, their son John (Ted Danson) a Wall Street executive, flies in to help his sister Annie (Kathy Baker) and her husband Mario (Kevin Spacey) care for Jake. John has not seen his parents for a few years and is shocked at Jake's emotional deterioration. With Bette in hospital, he sets about reviving his dad's spirit and love for life. Gradually Jake perks up and starts to take a much more active role in his own well-being. But more changes will impact Jake's promising rejuvenation: Bette returns home; John's wayward son Billy (Ethan Hawke) arrives for an unexpected visit; and an unwelcome health diagnosis will all play a role in the family's happiness. 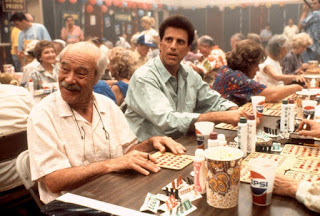 Directed and written by Gary David Goldberg and based on a book by William Wharton, Dad enjoys a committed Jack Lemmon central performance, but is otherwise emotionally all over the place. With an intimate focus on familial matters the film is not many notches above standard television fare, but Lemmon at least ensures that great big-screen acting resides at the heart of the melodrama. The film rides a nauseating emotional rollercoaster and crams too many sudden health turnarounds in less than two hours. Jake Tremont goes through about two and a half jarring down and up cycles in his physical and psychological well-being, dragging his small family along as he navigates up the mountain from the depth of despair to the giddiness of seemingly great health only to start another descent that precedes yet another climb. As a result Goldberg loses grip on what the film is intended to convey, with obscure and complex medical and psychological issues barely described before being allowed to run loose. And Jake's health is far from the only matter of consequence: Dad also tries to explore the dynamic between a domineering wife and a submissive husband, an issue that probably deserved more exposition that it receives in the gaps between Jake's yo-yo health. And with John for the first time experiencing the fragility of his father's health, he reassesses his relationship with his own son Billy, and the film includes some decent side-quest scenes as the next generation attempts to avoid the same mistakes. Ted Danson provides decent support, but is not helped by a script that never explains how he can suddenly shift gears, mentally and pragmatically, to be away for so long from his high-powered Wall Street job. Danson also struggles when the script demands strong displays of emotion, which are never his forte. Dad offers some substantive topics, but overburdens its own capabilities.